The extraordinary contrasts of modern Japan are to be found throughout this archipelago but most particularly in Hokkaido. My introduction to Japan 30 years ago was this very island and those early years exploring Hokkaido have left an indelible impression of this wild northern island. Hokkaido is a place where the power of an ancient and pervasive culture lays like a patch work quilt over an almost sub arctic wild land. The result is a superb mix of culture and wilderness. Here you will find architecture and structure that reflects the history and refinement of ancient Japan. Where inner spaces comply with the Japanese aesthetic of art and beauty. And of course, delicious and healthy food that can be found anywhere in Japan is abundant in the mountains and valleys of Hokkaido. Liberally spaced throughout this wild island you will also find some of Japan’s most famous artisans and photographers, who have escaped north to build a life on the edge of the wilderness. On this self guided tour, using our comprehensive guiding notes, you can visit many of these artisans, including “Takushinkan” the gallery of Japan’s most famous landscape photographer Shinzo Maeda. As well as Maeda San’s gallery you can visit other lesser known photo galleries, painters, wood workers, potters and glass blowers. There is also the chance to visit the Ainu textile museum in Asahikawa. And the backdrop throughout is the superb alpine scenery of central Hokkaido, where mountains and volcanoes tower over the valleys. 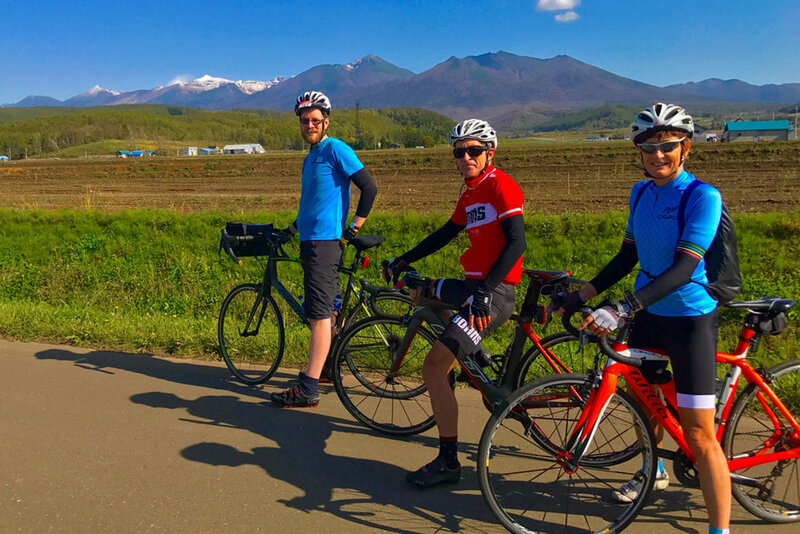 Contact us today to get the ball rolling on your own independent week of cycling in Hokkaido Japan. — Eugene Mcrory. Playground of The Gods. July 2017. Melbourne. Australia. 7 days - 6 nights. Grade: Easy to Moderate. Contact us for detailed brochure. 8 days - 7 nights. Grade: Moderate to Strenuous. Contact us for detailed brochure. 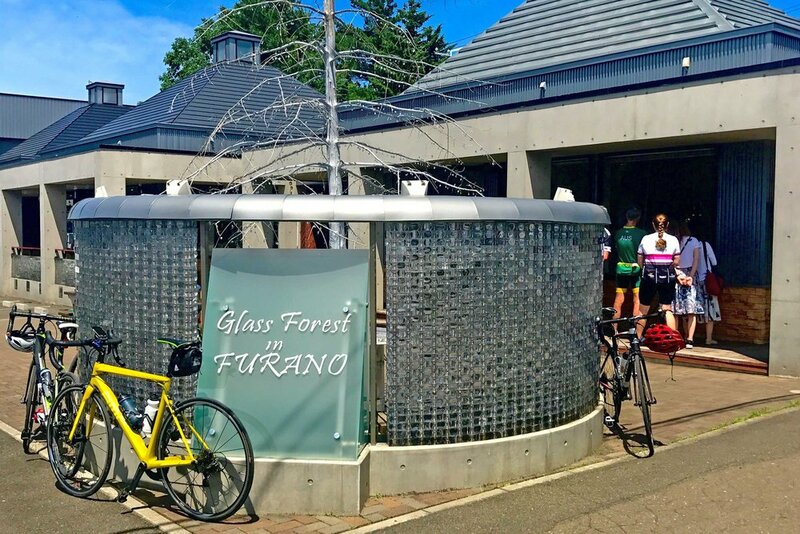 Contact us below and we will send you a PDF brochure with full tour outline and a booking form which includes accommodation and bike hire options. Rider Numbers: minimum 2. We also cater for solo rider and you can choose between using a luggage transfer serve, panniers or a combination of both. Guided Option: These tours can be taken as private guided tour. Please contact us for details. How to book: Download a booking form or contact us. Send the booking form via email with ¥20,000/$AU250 deposit/person. Credit cards accepted in Japanese Yen only.